The ruins of Brougham Castle stand in a beautiful setting on the banks of the River Eamont, 1 mile south-east of Penrith. The importance of its strategic location was first recognised by the Romans who built a fort here. In the 13th century Robert de Vieuxpont acquired the site and began construction of the castle we see today. In 1643, after a period of neglect, the castle passed to Lady Anne Clifford. Six years later she took up residence in the castle and restored it to its former glory. Following her death in 1676, the castle was inherited by the Earl of Thanet. 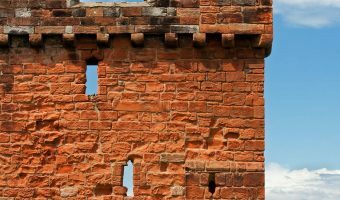 He preferred to stay at Appleby Castle and the castle fell into ruin, although much of the keep and outer walls are still standing today. Brougham Castle is maintained by English Heritage. It is open daily throughout the summer (April 1 – September 30) and Thursday to Monday during the winter. Opening times are 10 am to 5 pm in the summer and 10 am to 5 pm in the winter. Entrance costs £3.80 for adults, £3.40 for concessions, and £2.30 for children. Family tickets are also available. Admission is free for English Heritage members. 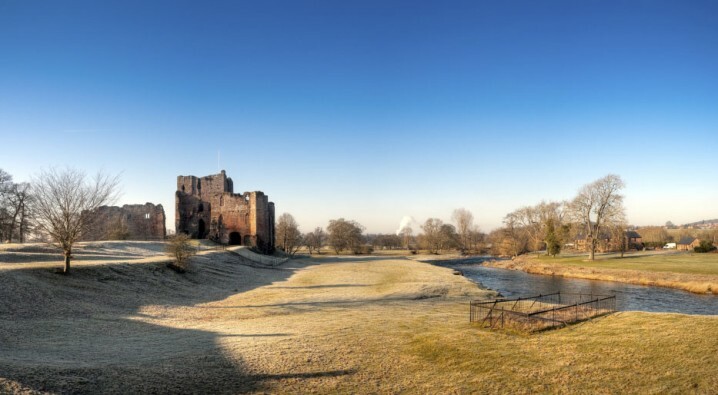 To get to Brougham Castle by car, head east on the A66 from Penrith (signposted for Scotch Corner and Appleby) for just over 1 mile and then turn right onto the B6262 following the brown tourist signs. 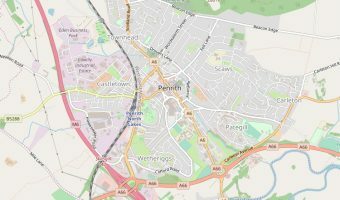 Map showing location of Brougham Castle. I haven’t been there but from the pictures and what I have read it looks, and seems, lovely! The castle and grounds are lovely. Walk down the riverside to the village of Eamont Bridge. It’s a very beautiful walk. Built in the 14th century to protect the town from Scottish raiders.